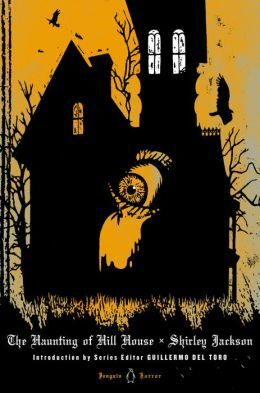 The Haunting of Hill House by Shirley Jackson is one of those novels that is often recommended as required reading for any true horror fan and writer. Although I consider myself both fan and writer, up until now I’ve never read Jackson’s novel. Now that I have completed it, I can see why it’s so often recommended. Jackson’s novel is not fast-paced, most of the horror is not seen, and the characters continually laugh throughout most of the novel rather than show their fear. As I read through the novel, this laughter and light-heartedness that continues through nearly to the end of the novel bothered me. I felt it reduced the tension and mitigated the horror in the novel. The more I thought about this laughing reaction the characters have, the more I began to see that the reaction may actually fit the novel perfectly. The very first line of the novel is: “No live organism can continue to exist sanely under conditions of absolute reality” (Jackson 3). The horror of the novel is rarely visual, and is more psychological. What the laughing does is it shows two sides to a personality. The laughing reduces the fear of a person, a nervous laughter of sorts, and scientific studies have shown laughing and smiling, even when you don’t want to, improve moods and reduce stress, effectively helping bring on genuine happiness despite merely being imitations of happiness at first. The characters in the novel may be unconsciously laughing in order to reduce the stress of the haunting of Hill House brings about. In the case of Eleanor, the absolute reality for her is that she doesn’t feel loved at home, and wants to be special but may never be so. Continuing to exist in her absolute reality might drive her insane, thusly producing the haunting along with manifestations of the events unconsciously. Another function of the laughter in the novel, particularly toward the end, is it shows how unstable Eleanor’s mental functioning may be becoming. When looking back at the novel, while it may seem as though the haunting is genuine at first, it may never have been. The ending, especially how it is unclear whether Eleanor has become possessed or if her mind is broken promotes speculation about the validity of the claims of supernatural goings-on at Hill House. The laughter may be an indication that the hauntings are more personal, mental manifestations of the characters, primarily of Eleanor, than genuine hauntings. The value of Shirley Jackson’s The Haunting of Hill House is how well the author crafts the question of whether the haunting is legitimate or not into the narrative. Most of the horror is off the, left for the reader to imagine. In fact, the novel even begins with Dr. Montague suggesting for the participants to try not to focus on the haunting of Hill House lest they may be influenced subconsciously. Despite the doctor warning the assistants of this, not once in the novel do they let go of the stories of the haunting. This might show that the paranormal events that occur in the novel are nothing more than manifestations brought on by preconceived notions and expectations that something not only could, but would happen. This expectation that something would happen in combination with Eleanor’s intense desire to belong and be wanted might have produced a mental state perfectly suited for believing and subconsciously producing manifestations that seem supernatural. Even the reader can believe Hill House is Haunted before the story has even started simply because the very first page tells the reader the house is haunted and that the house, itself, is not sane (3). But how true is this? No tenants who have ever rented the house relayed stories of hauntings, and nothing suggests something supernatural killed all of Crain’s wives, and each death can either be attributed to foul play or flat-out bad luck. So is Hill House haunted or is it only in the heads of those who believe it is? Do the stories make something true or does the truth make the stories? Perhaps thinking about the truth–that is, absolute reality–for too long will drive you insane. Jackson, Shirley. The Haunting of Hill House. 1959. New York: Penguin Books, 2013. Print. I agree with the validity of the haunting being called into question. Especially at the end of the novel. When Eleanor becomes “possessed” by the house and goes benign on the doors and stalking her companions, I questioned her reliability as a narrator. Perhaps Eleanor had been imagining or actually preforming many of the hauntings from the beginning. This is given further weight when we consider how she lied from the very beginning about her apartment and her stone lions. It seemed Eleanor was a little cracked before she ever got to the house.